For decades, the ‘white van man’ has had a reputation for being a bit of a pig out on the road. However, new research suggests van drivers have cleaned up their act in recent years, with vans now being involved in far fewer accidents. According to figures from the Department for Transport, crashes involving vans have dropped from 15,593 in 2006 to 13,125 in 2016, while fatalities have fallen from 274 to 186 in the same year. This decrease comes as vans rack up considerably more miles than they used to, covering 49 billion miles every year – 10 billion more than a decade ago. Internet shopping and the rise in demand for ‘next day delivery’ is a main driver behind the mileage rise. 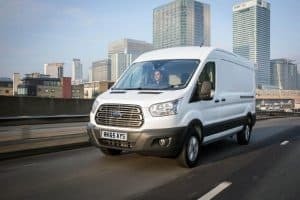 So, in short, vans are covering a lot more miles, but they’re crashing a lot less often, and telematics has unquestionably played a part in that improvement. With a telematics-installed van, fleet decision-makers can monitor not just average and current speed, but also see if the vehicle has been driven recklessly. “The increasing use of telematics means drivers and companies will be increasingly held accountable for crashes,” said Neil Greig, director of policy and research at road safety group IAM RoadSmart. Mr Greig also believes that trial by social media has been a factor, because companies can no longer risk the damage to their reputation caused by bad driving in vehicles bearing their company logo.